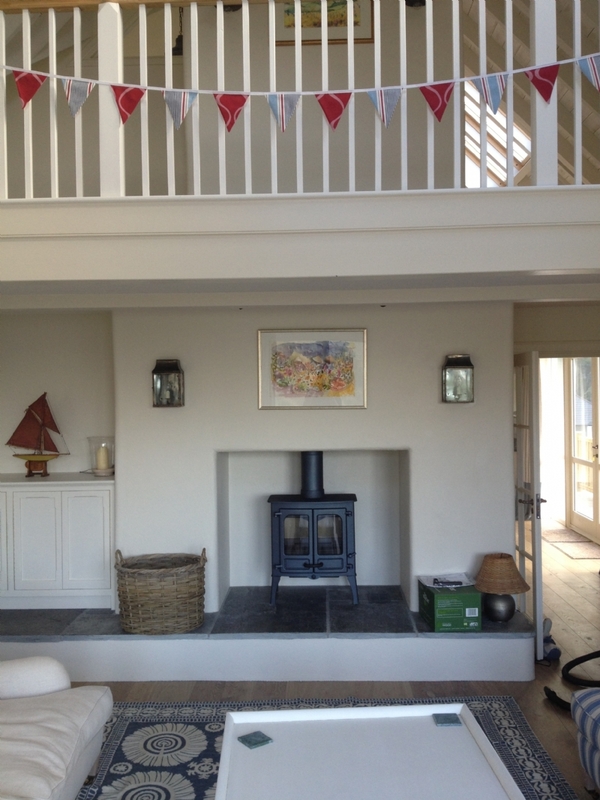 Charnwood Island II in Blue installation wood burning stove installation from Kernow Fires. 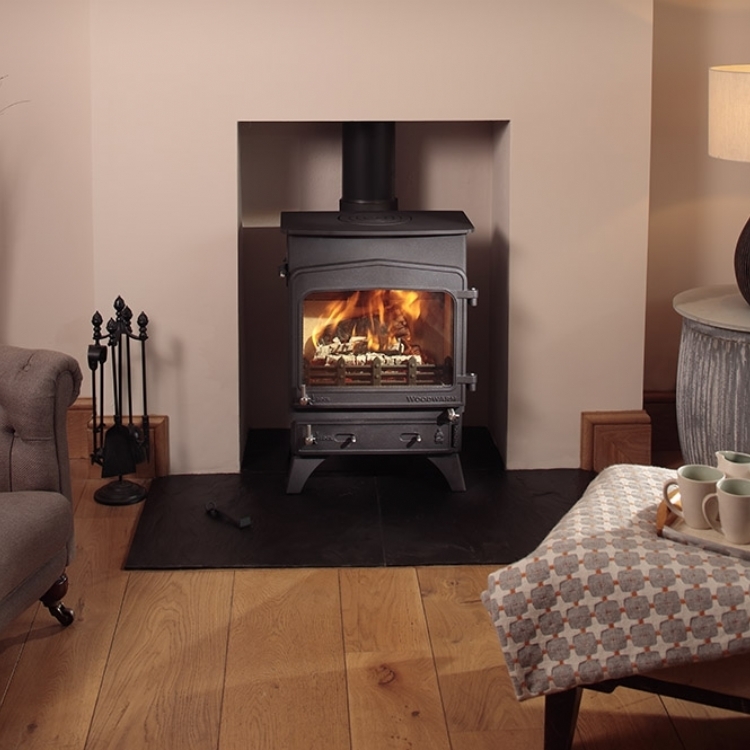 Customer Aspiration: A traditional multi fuel stove that has a contemporary feel to it that will look at home in this beautifully designed room. Special Requirements: Slates cut to fit the extended hearth and fitted. 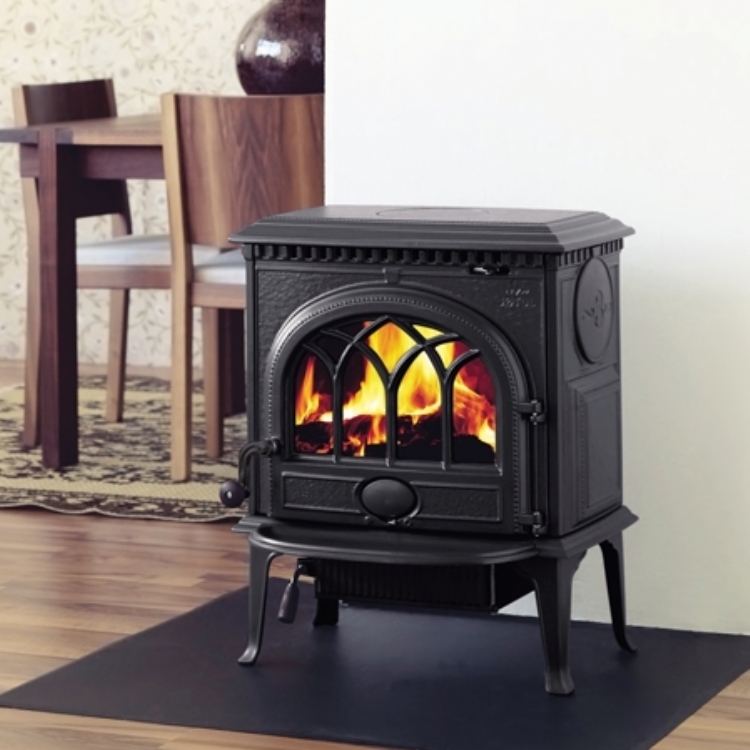 The Charnwood Island II multi fuel stove gives a generous amount of heat in this large room and its proportions fit the surroundings perfectly. The double doors and clean lines is the perfect balance between contemporary and traditional design and the blue finish compliments the slate perfectly.